In Queensland you don’t not need any licenses to be a motor mechanic. Personally we think this is something the industry should introduce. Although there are no legal requirement, we belong to Motor Trades Association Queensland and Institute of Automotive Mechanical Engineers. We discourage the 24000km service, we have seen so many engines that has suffered problems because of the extended services period, so we suggest a shorter service period 10000km, especially if you are doing a lot of stop start driving around town. The oil we use is high quality with long life. We have a service sticker which we place inside your window when the service is done. The sticker has our number and let you know when next service is due. How often should you service your Land Rover? Our schedules work a bit different from some of the dealers as we replace only what needs to be replaced rather than replacing a product for the sake of it. If the air filter is blocked and the service schedule says that you don’t change for another 10.000K, well if it is blocked, it is going to affect the fuel economy so we will replace the filter. Conversely if the book also says at 40.000km you need to replace the air filter, and we open the box and the filter is clean, we will leave it alone. Parts will only be replaced when they need to be replaced. Many dealers use a schedule and even if some parts might not need replacement, they will be replaced so they can tick the box and they can charge for it. If you need to get the car off the road immediately or cannot start the car. Use you insurance company, roadside assistance or a towing service. We have provided you with some useful numbers and links to help you get in touch with them faster. 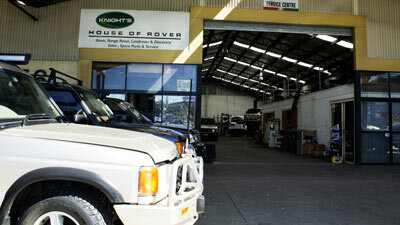 Knights house of rover specialise in servicing and repairing Land Rover and Range Rover vehicles. Our clients come from all over the country to use our experience. We are a friendly family business who are easy to deal with. Our customer service make sure your needs are met and your Land Rover vehicle gets the right care.